“Spring’s Abloom” Saturday, May 4, 2019 at 11:00 a.m.
United Methodist Women’s Annual Fundraiser! 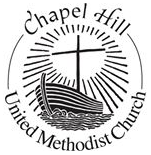 We support missions within Chapel Hill as well as local and world missions. Great program, lunch and fellowship with other Chapel Hill women and their friends and family.